Strange Infrared Signal Travels Through Space, But What Is The Source? Every now and then, we catch various signals that travel through the space, like the mysterious fast radio bursts often tracked by scientists. However, now a strange infrared signal has been discovered. It seems to be spreading through space — coming from an area close to a neutron star. What makes this signal strange is that it’s the first time an infrared signal has emanated from near a neutron star. Scientists have a few ideas that could hint at the origin of the signal. For example, when a star is close to the end of its life, it goes through a supernova explosion. If it has enough mass, it will form a black hole, but if it doesn’t, it will become a neutron star. As their name suggests, neutron stars are mostly made of neutrons that are packed very tightly, which means they are very dense. Space.com explains that scientists also refer to these stars as pulsars if they have a strong magnetic field and rotate at speeds fast enough to emit electromagnetic waves. “Although neutron stars are generally studied in radio and high-energy emissions, such as X-rays, this study demonstrates that new and interesting information about neutron stars can also be gained by studying them in infrared light,” NASA explained in an article published on Sept. 17, citing researchers. For the new study on the strange infrared signal, researchers from Pennsylvania State University and the University of Arizona collaborated with researchers from Sabanci University in Turkey. They used data from NASA’s Hubble Space Telescope and published the results of their study in the Astrophysical Journal. According to the researchers, the newly-discovered signal was located roughly 800 light-years away and was “extended,” which means that it was stretched out across space. That makes it different than typical signals from neutron stars that emit X-rays. Using previous data, the team discovered that the strange infrared signal is much more concentrated than any signal a neutron star should be emitting. Scientists believe a “fallback disk” that stretched up to 18 billion miles formed from parts of the original star before its explosion. Such disks made mostly of dust particles “have been long searched for, but not found,” Posselt told Live Science. Looking deeper, scientists suggested that the inner part of a “fallback disk” could have a sufficient amount of energy to be the cause of the infrared light. This could also explain why is this neutron star is so hot while spinning so slowly. “The disks in the past could have provided some extra heating,” and also slowed down its rotation, Posselt also told Live Science. The second explanation involving a pulsar wind nebula is that perhaps the infrared signal is coming from a nearby pulsar wind nebula. A pulsar wind forms when electrons that are attached to a neutron star are accelerated in an electric field produced by the star’s rotation. The neutron star typically moves faster than the speed of sound, crashing into an interstellar medium. Interstellar mediums are tiny amounts of gas and dust that rest on larger celestial objects. When interstellar mediums and pulsar winds interact, they can cause a pulsar wind nebula, which produces infrared radiation, according to Posselt. 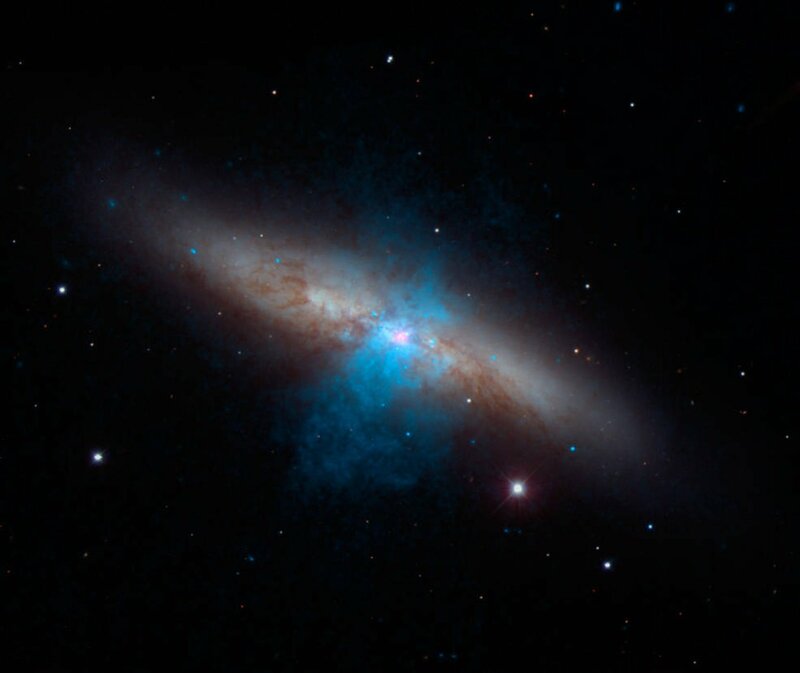 However, pulsar wind nebulas are generally known for emitting X-ray signals instead of infrared signals in space. That’s what makes this new research “definitely interesting,” as it could indicate a pulsar wind nebula that emits only an infrared signal.